How to Complete Your Medical Residency in the U.S. Practicing medicine in the United States can be appealing to many international medical students and doctors, but the U.S. requires these physicians to undergo an extensive process — including re-completing residency in the U.S.
One way to avoid completing two residencies, which could take as long as 10 years, is to complete just one residency — in the United States. However, this can be challenging due to a shortage of slots in residency programs in many states and roadblocks for international students qualifying for financial aid. Advantages to completing residency in the United States can include better pay and more flexibility to work internationally in the future (although Europe requires U.S.-trained physicians to re-complete residency). In addition, the United States has some top-notch programs. While rankings can vary by specialty, outstanding residency programs in the U.S. include Massachusetts General Hospital, Johns Hopkins, Brigham and Women's, University of California, San Francisco and Mayo Clinic. While there are many advantages to seeking a U.S. education, be aware of these common challenges that international students face. The first step in qualifying for a medical residency program in the United States, after completing the United States Medical Licensing Examination, is obtaining a visa. A Temporary Employment H-1B visa and an Exchange Visitor (Physician Training) J-1 visa are the most common visas that qualify. The H-1B is generally more desirable because it doesn't have the two-year home residency requirement that a J-1 does, which requires you to return to your home country for at least two years before returning to practice in the U.S. 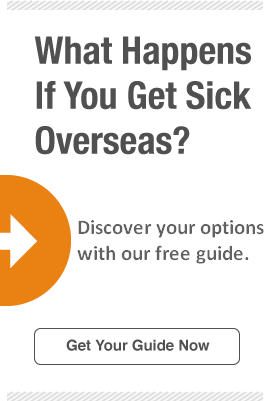 However, it is more difficult to obtain an H-1B visa as a foreign medical resident. After you obtain a visa, you must register with the National Resident Matching Program, which matches residents with programs on Match Day and helps you track your ranking of programs following your interviews. When you register with the NRMP, you will also want to select a specialty. According to JAMA, the specialty with the highest percentage of international medical graduates in 2014 was internal medicine (40 percent) — specifically pulmonary, nephrology and critical care. Next, complete your applications. These generally include your curriculum vitae, letters of recommendation and a personal statement. Following submission of your applications, any residency programs that are considering you will contact you to schedule interviews. Your interview will generally begin with you sitting in on rounds and end with meetings with program directors, attending physicians, and chief residents. Once you've completed your interviews, you can use the NRMP to rank your preferred programs. The NRMP bases matches on the rankings of both the applicants and the residency programs, therefore, there are some important rules to remember. Never rank a program that hasn't granted you an interview. You are not likely to be accepted if you have never met with the program leaders. Do not rank a program that you have no intention of attending. If you are matched with that program, you are expected to go. If you are not matched on Match Day, the NRMP will release unfilled programs. In what is called "the scramble," unmatched students contact these programs in hopes of acceptance. Once you are accepted to a program, what's next? First, make sure your program offers you medical coverage. Some medical residency programs require international students or residents to purchase health insurance. However,it can be quite expensive. Some programs will waive the insurance option if you can prove you have compliant health insurance. You may want to look into alternative student international health insurance plans if you find that your program’s insurance is too expensive or doesn’t meet all of your needs. It can also never hurt to start planning ahead for when you complete your residency. Assuming you want to work in the United States, depending on your visa and residency status, you will want to start planning for getting a job or a fellowship at a medical institution in the United States. In some cases, residents with J-1 visas can also receive a waiver from the requirement to return to their home country for two years if they agree to work in a rural area for a certain amount of time.